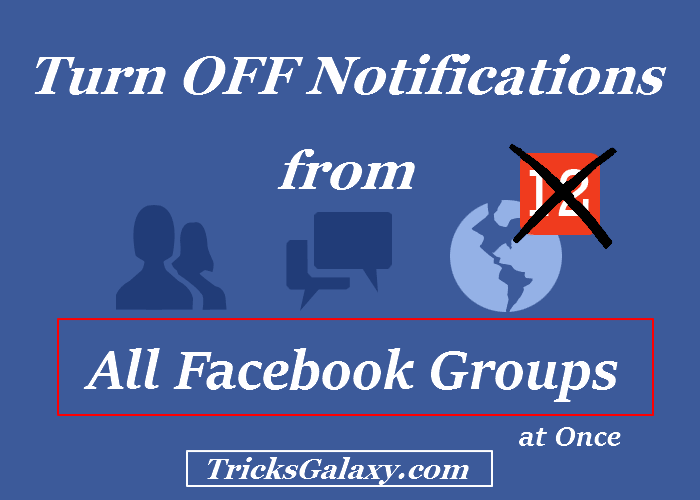 Today, I am here with an Interesting Facebook Trick under which I will tell you the Best Trick to Unfollow All Facebook Groups At Once so that no any useless notification can disturb you. As we all know, Facebook is the powerful social networking site especially for Blogger, Internet Marketers etc. Facebook offers a powerful feature which is Fb Group where you can promote your blog, products or anything you want. Generally, we join a lot of Facebook Group for various purposes and if you are a blogger then you must have joined a big list of Facebook Groups for promoting your Blog posts, brands. But most of the time you may have probably getting lots of unnecessary notifications from various Facebook Groups. If you want to stop that all notifications then you have only two options. Firstly, you can simply leave that Group and secondly, you can unfollow that particular Fb Group. But, you can’t go with first way if you’re then How and where you will promote you blogs. So, you must choose the second option. You have to Unfollow Fb Groups to get yourself free from notifications. Now if you joined 500+ (say) then you have to open 500+ groups after that you can unfollow all Groups. Do you need a Trick by which you can unfollow all Fb Groups at once? Don’t worry, its too simple. Below are the steps of Trick to Unfollow and Turn OFF notification from all Facebook Groups in one click. I recommend you to use this awesome Facebook trick to Unfollow all Facebook Groups after that just open and follow only useful and private Facebook Groups. Using this method of Turning OFF notification and process you can convert your useless notifications into useful notification on Facebook. Recommended: How to Delete Facebook Group by Removing all Members at Once. First of all add Social Toolkit extension in your Google Chrome Browser. After successfully adding. Open Facebook.com and click on extension icon. 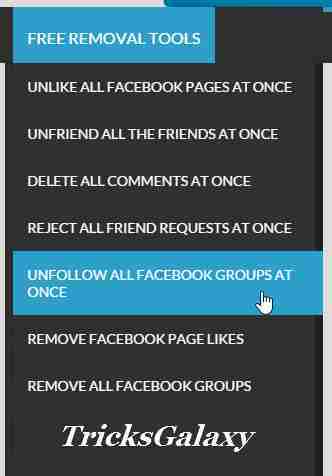 Under FREE REMOVAL TOOLS, select fifth option which is UNFOLLOW ALL FACEBOOK GROUP AT ONCE. Click on ‘Unfollow all groups at once’. It will start unfollowing all facebook groups, let them complete. Once completed you can now open your useful and private Facebook Groups and do follow. You have successfully Turned OFF Notifications of all Facebook Groups by Unfollowing them at Once. Also, your useless Fb notification is converted into the Useful notification. Recommended: How to Check Online Friends on Facebook while being Offline. By this way, you can turn your unwanted notification into wanted. So, this was the Trick to Unfollow all the Facebook Groups using Social Toolkit Chrome extension in order to Tun OFF notification from them. Its tested and 100% working fine. Share your feedback in the comment box below in comment section. thanks for that it’s working . yeh bro sure visiting daily on your site.